Below is a listing of exchanges, brokers and individual traders for the purchase and sale of bitcoin and other cryptocurrencies in South America. To buy and sell bitcoin in South America, you will need to register an account with a verifiable email address and comply with Know-Your-Customer (KYC) and Anti-Money-Laundering (AML) regulations and policies where applicable. Exchanges listed under International below are those which accept international payments with ease, usually via credit card e.g. Changelly. Remember to use safe measures when performing online transactions. 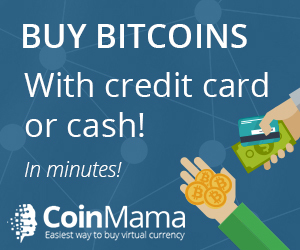 You may also buy and sell bitcoin safely through the following sites and transact with brokers and individual traders upon registering an account. Advisory Note: Remitano, LocalBitcoins and eBay provide feedback ratings for each selling member. Always check and be comfortable with a seller’s feedback ratings before proceeding with a transaction. If you are arranging a meet-up to purchase or sell bitcoin, it is best to arrange the meeting at a public area, and bring along a friend if that makes it more comfortable or safer for you. Remember to always practise safe measures when performing online transactions. Please check Where to Buy and Sell Altcoin to register an account with exchange platforms that deal in other cryptocurrencies such as Ethereum, Litecoin, Cardano, Monero, Dash, Eos, Qtum, Bitcoin Cash etc.